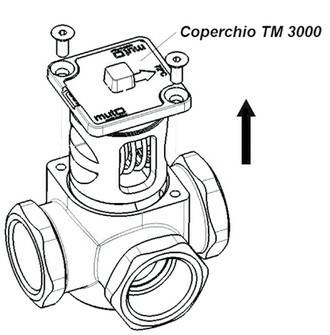 TM 3000 mixer valves find application in those heating systems (systems with solid fuel boiler and storage tank) where it is essential to ensure the return of hot water (at a minimum temperature level) to the boiler, thus ensuring a sufficiently high thermal regime of operation to prevent vapour condensation in the smokestack. 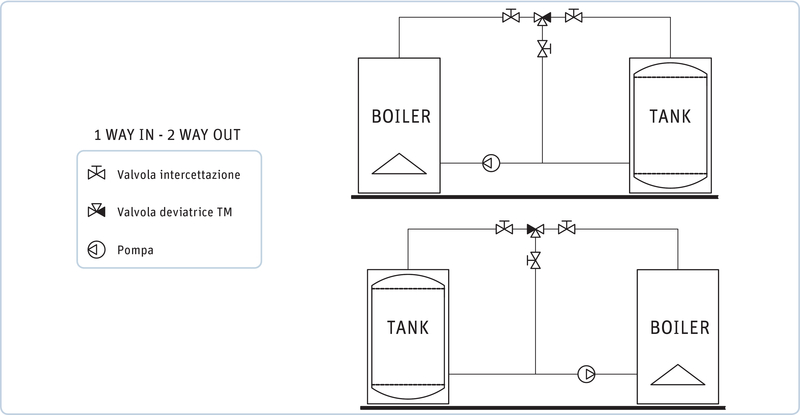 These vapours combined with the products of combustion may give rise to corrosive compounds that affect and limit the life of the boiler. 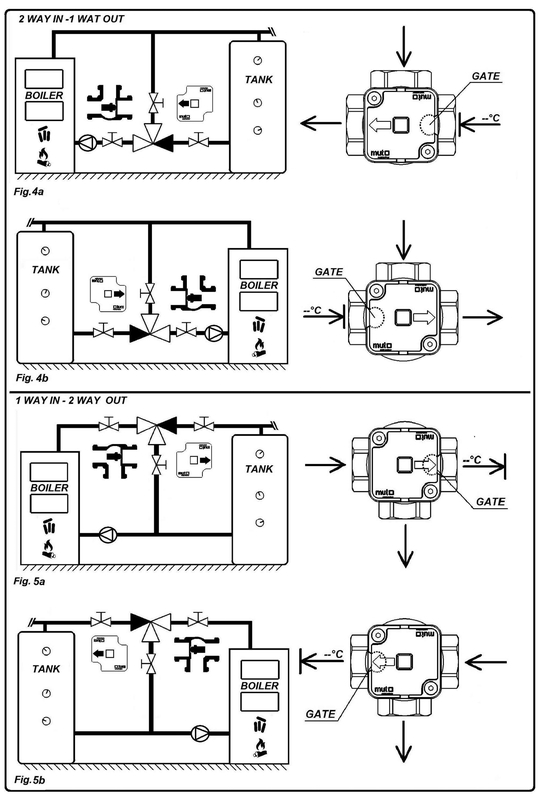 - Increasing the combustion efficiency of the heat generator. 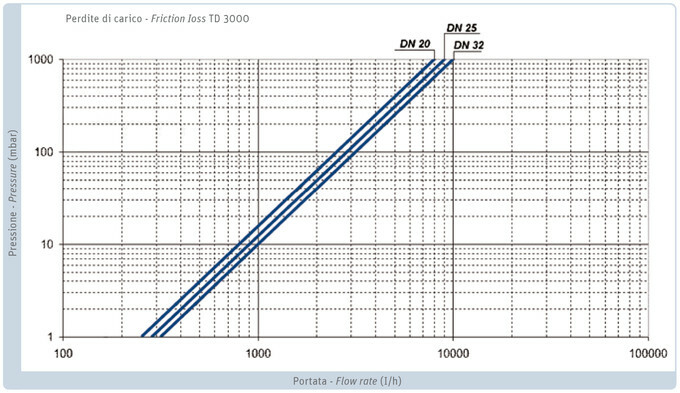 - Avoiding the risk of destructive thermal shock. 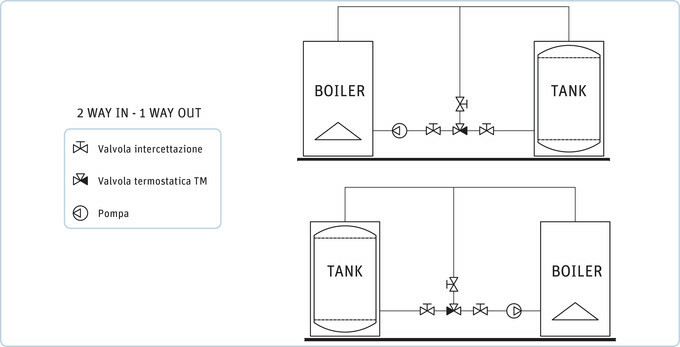 - Significant lengthening of the working life of the boiler. 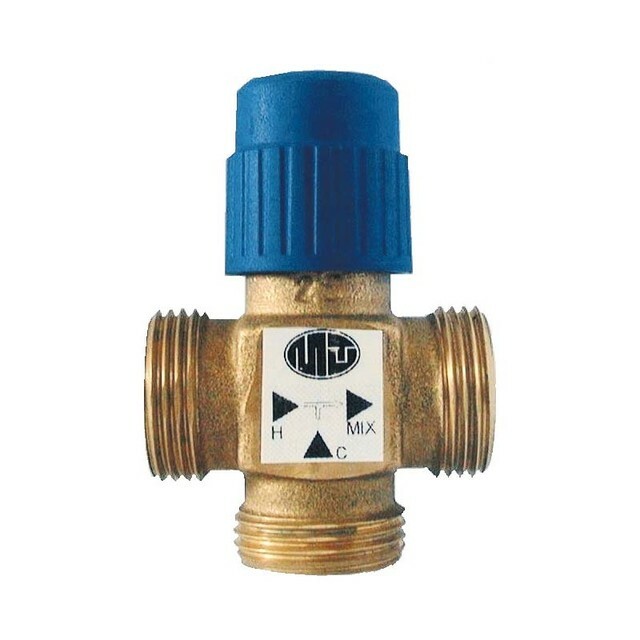 The thermostatic mixing valve TM 3000 aren’t equipped with electrical / electronic devices, with consequently great benefit of reliability and of simplicity of system installation and maintenance. 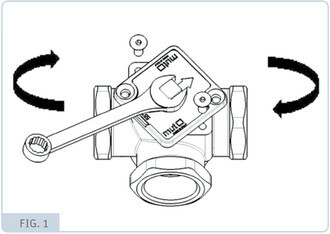 The “one single piece” thermostat-lid allows a quick and easy replacement of the thermostat. 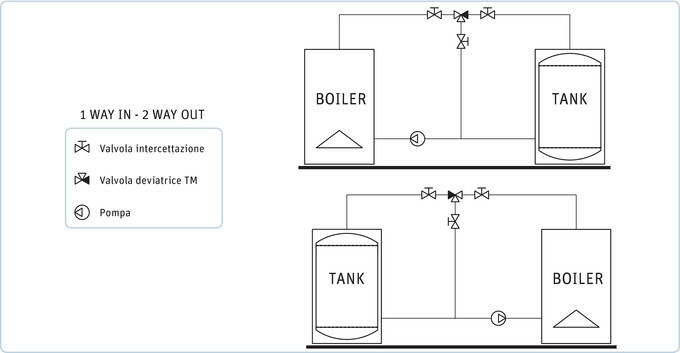 To ensure accurate precision, the thermostatic sensor is immersed directly into the fluid. Operation temperature range : 5 -110 °C. Maximum operating pressure: 10 bar. 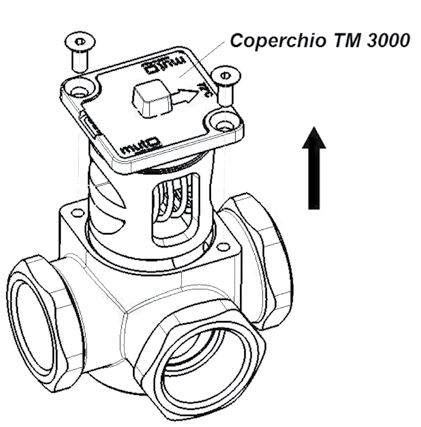 TM 3000 mixer valves are available in 3 sizes (G ¾”, G 1”, G 1 ¼”). The thermostatic sensor is immersed directly in the fluid. 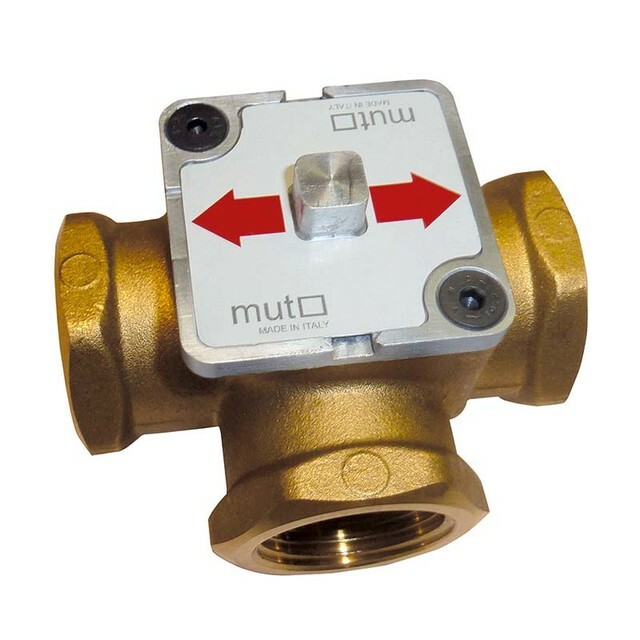 According to the temperature value set (temperature settings available – standard version: 45 – 50 – 55 – 62 – 72 - 78 °C), the valve mixes the fluid flows so that the fluid flow returning to boiler is always at the right set-point temperature. 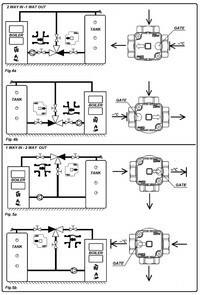 On specific request, TM 3000 mixer valve may be supplied with temperature set values different from those of the standard valve set. * su richiesta disponibili altre temperature. Make sure the pump is off. 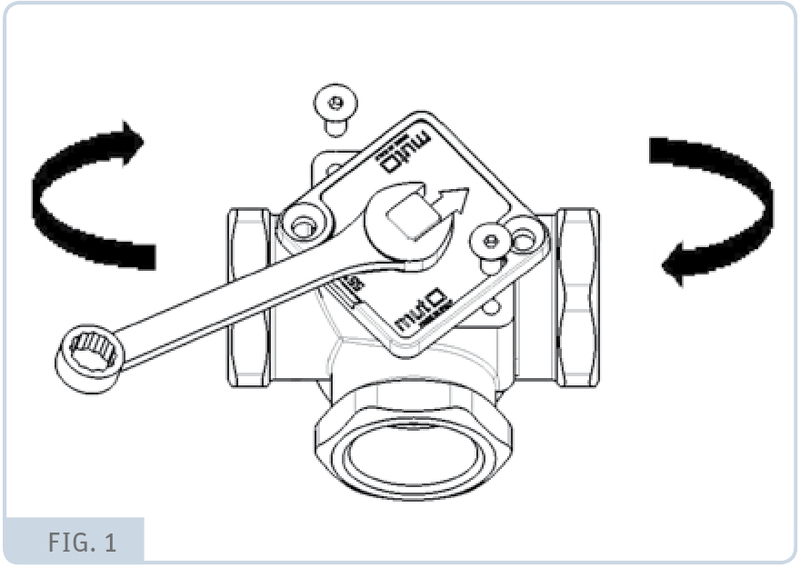 Close the three-way ball valves and discharge the system. The system is now ready to use 9 - Switch on the pump. 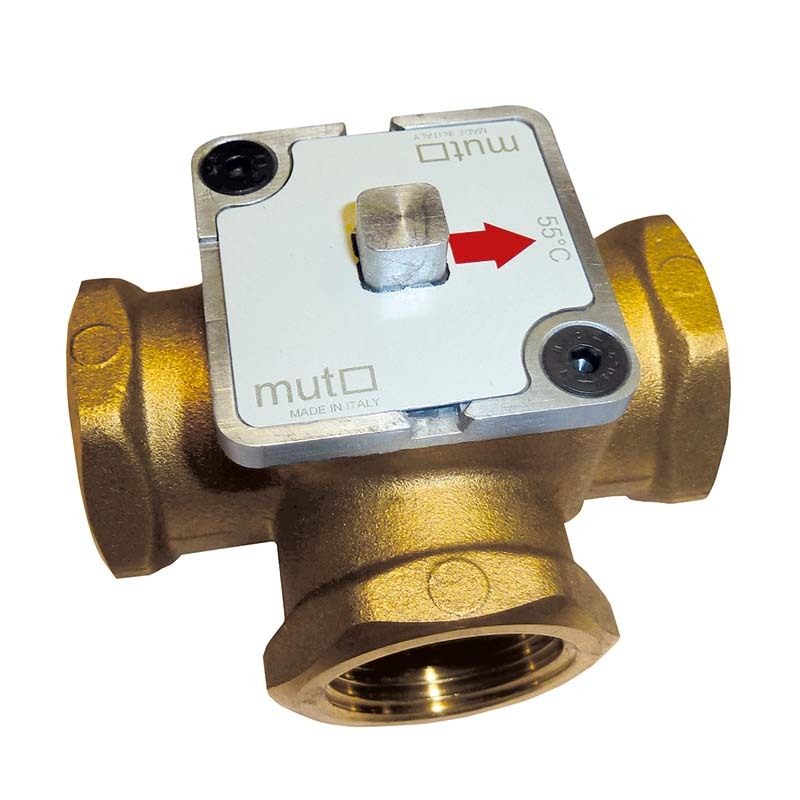 Adjustable thermostatic mixer valve for centralised heating systems ( also for thermal solar and biomass fuel systems), MUT series TM 3000. To apply when it is essential to ensure the return of hot water (at a minimum temperature level) to the boiler , thus ensu- ring a sufficiently high thermal regime of operation to prevent vapour condensation in the smokestack. Threaded connections G ¾” G 1” , G 1 ¼” F. Monolithic cartridge lid (one single piece). 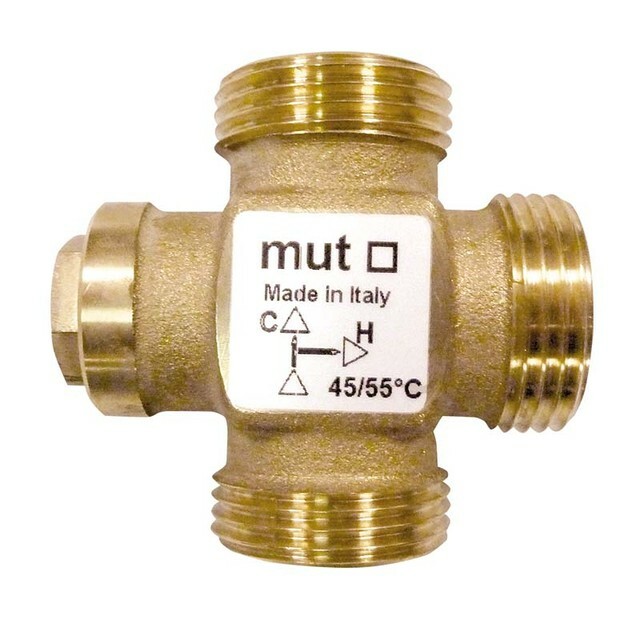 Valve body material: Brass UNI EN 12165:2011-CW617N-M; thermostatic cartridge lid material: Die-cast aluminium AB 46100 Al Si 11 Cu ; Spring: Stainless Steel AISI 302 EN 10204-3.1. 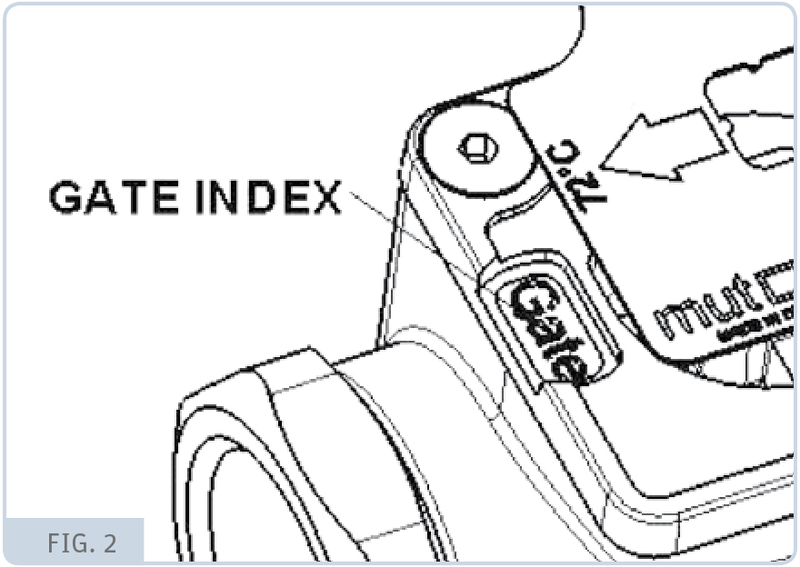 The thermostatic sensor is immersed directly into the fluid. Fluid’s temperature limits 5 ÷ 110 °C. Nominal pressure: PN 10 bar. 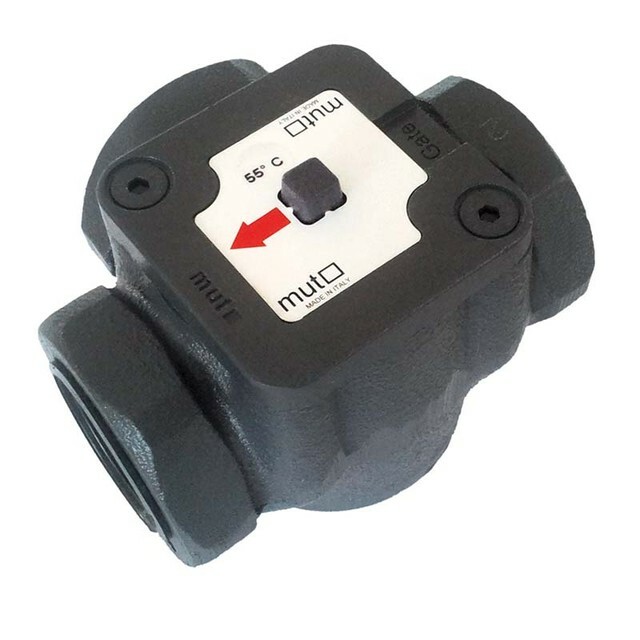 Range of mixed water Temperature’s adjustment available: 45 °C ÷ 50 °C ÷ 55 °C ÷ 63 °C ÷ 72 °C ÷ 78 °C .